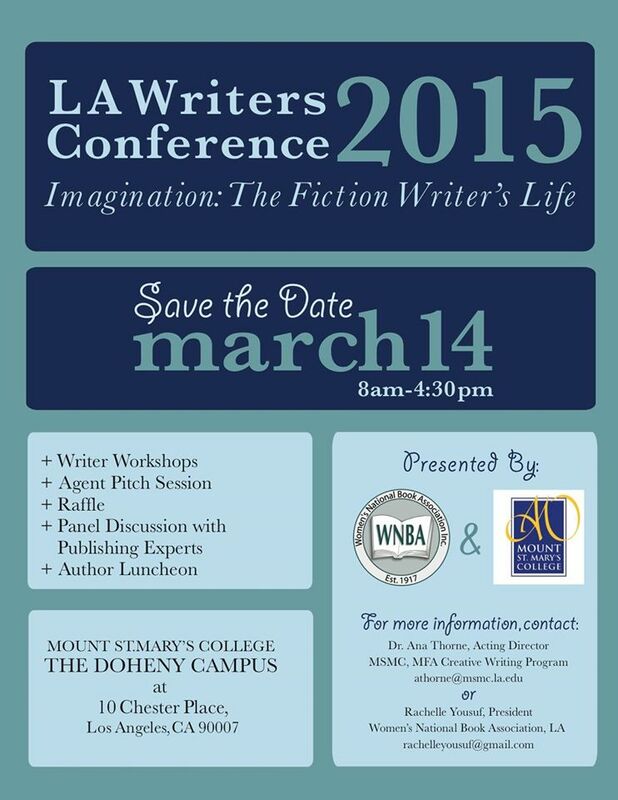 For my followers who live in the Los Angeles area, there’s a great Writer’s Conference coming up in March hosted by the Women’s National Book Association – Los Angeles Chapter and Mount St. Mary’s College. If you’re interested in attending visit the WNBA-LA website for more information. Mount St. Mary’s College and the Women’s National Book Association, LA have partnered up to expand and develop our LA Writers Conference! We welcome a diverse group of local authors, poets, students, literary agents, publishers and booksellers to come together and create the best conference our chapter has ever put together! Attendees will participate in panels and workshops that address the commercial and creative elements that combine to turn imagination into publication.